9/159 David Mumpower Impacting story delivers the most uplifting movie-going experience in recent memory. Highly recommended, even for non-football fans. In the fall of 1970, a plane went down in the hills of West Virginia. Seventy-five lives were lost in the tragic accident, among them were the majority of Marshall University's football team and coaching staff. Often called "The Worst Tragedy in American Sports" (despite Mike Tyson's attempt to wrestle that title away), this disaster provides the genesis for the film "We Are Marshall". 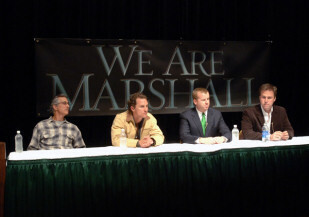 See the latest developments for this project on the We Are Marshall Movie News page.